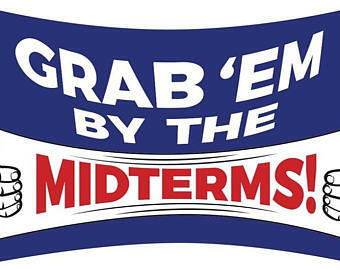 KICK-OFF MEETING FOR MIDTERM ELECTIONS: STOP WORRYING, START DOING! 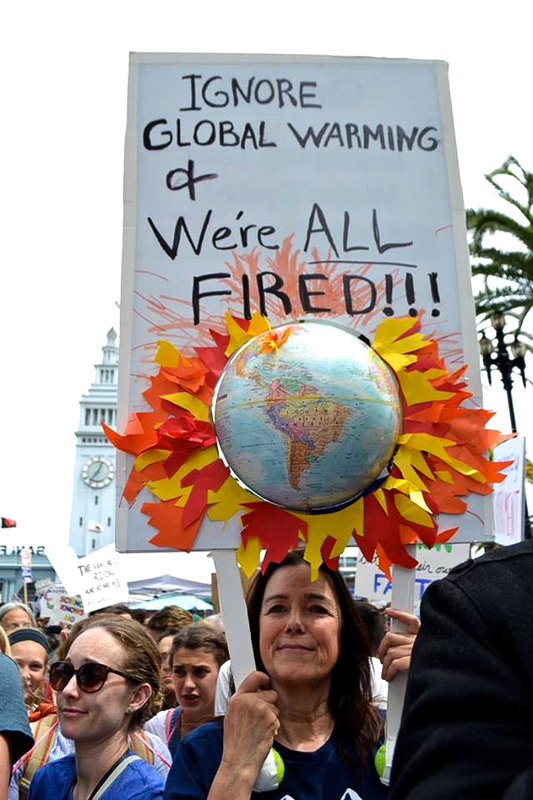 Please join MVCAN in turning out for the People’s Climate March in San Francisco, Sat. Sept 8. The March will precede Governor Brown’s Global Climate Action Summit from Sept 12 - 14 in San Francisco . The San Francisco March expects to attract tens of thousands of people. We hope many MVCAN Eco Warriors will march together! 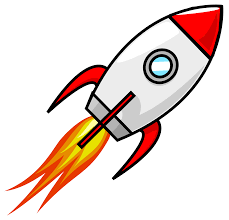 We will keep you updated on plans. You can also stay informed by signing up with the Climate March here. MVCAN is planning to charter buses to travel from Mill Valley to the Climate March in SF. 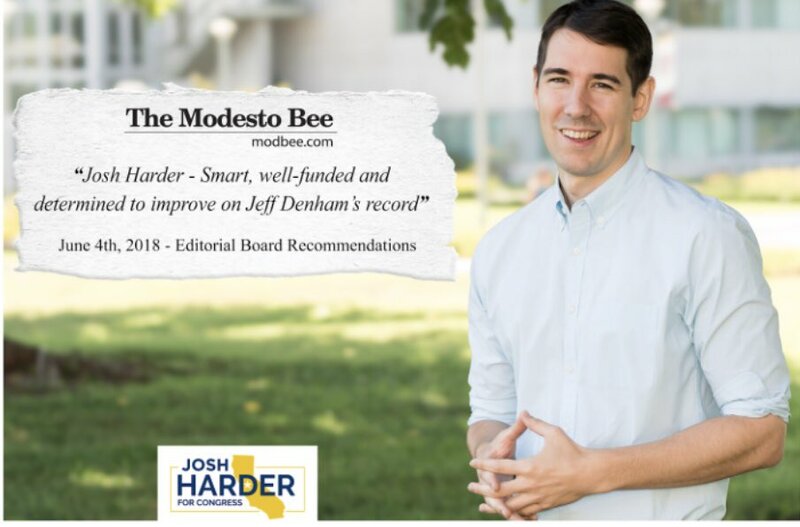 Stay tuned for more details in subsequent newsletters. Please join us at the next MVCAN Eco Team meeting, which will include planning for MVCAN’s participation in the march. 450 Sycamore (across from Mill Valley Middle School). Please RSVP if you can join us by emailing Marilyn Price mprice@the-acorn.com We welcome your input and your help! MVCAN's Jennifer Nassiri with 2017 Women's March Co-Chair Linda Sarsour. Why did Jennifer feel motivated to travel to D.C. to take part in the protest? 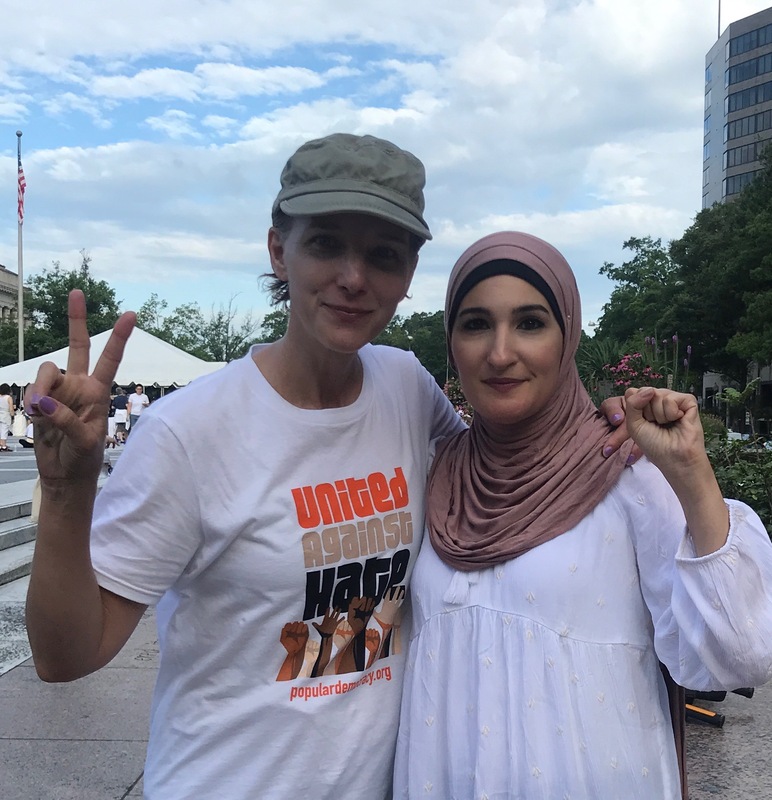 Upon arriving in Washington, Jennifer was impressed with the high level of organization from the leaders of the protest–among them Linda Sarsour of the Women’s March and The Center for Popular Democracy). For instance, on the night before the protest, Jennifer was trained on what to expect if she was arrested. The protest itself started on June 28th with 1,000 women marching from Freedom Plaza and ending up inside the Hart Senate building, where many Senate offices are located. The women sang and chanted and hung banners protesting family separation on the balconies of the inner courtyard of the building. Most strikingly, the women draped themselves in mylar silver blankets to mimic the blankets handed out to detained children when separated from their families. Photos courtesy of Jennifer Nassiri. Many senators came down from their offices to show support. Jennifer describes seeing Elizabeth Warren putting her hand on her heart and then clapping along with protestors’ songs. Other Senators also put in appearances: Ed Markey of Massachusetts, Mazie Hirono of Hawaii, Kirsten Gillibrand of New York, and Richard Blumenthal of Connecticut. Senator Tammy Duckworth was seen in her wheelchair with her daughter in her lap. Kudos to Jennifer Nassiri, who, by participating in this powerful and effective demonstration of civil disobedience, has shown herself to be one of the many MVCAN members who are willing to put their hearts and their bodies into actions that support a just and compassionate America. A fantastic time was had by all at MVCAN’s 2nd annual BBQ last Sunday at the Homestead Valley Community Center. 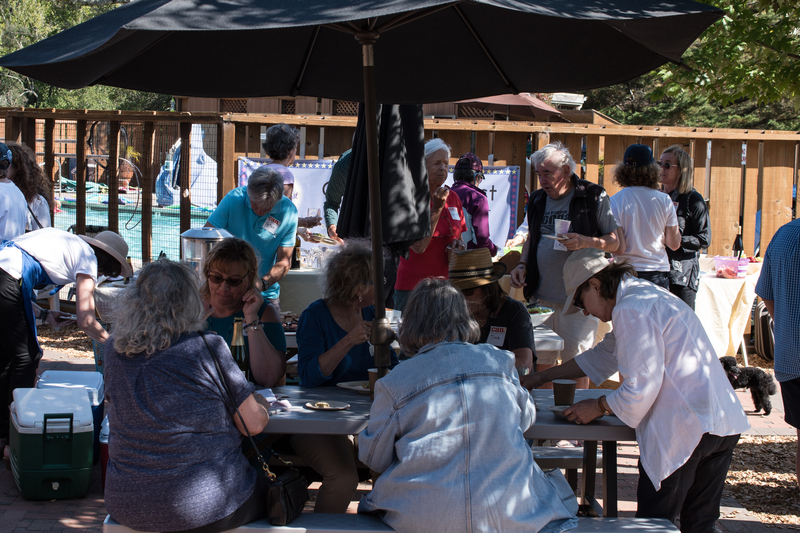 More than 60 MVCAN members, new and old, networked and shared food and fun, as we geared up for our Midterm Election work. Thank you Carol Korenbrot and the MVCAN Events and Core teams for organizing this event. 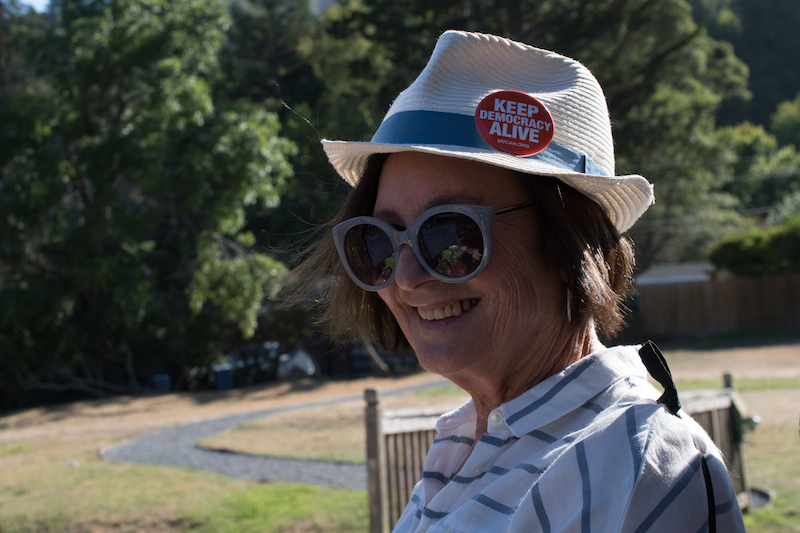 Thank you Marilyn Price for ensuring that the BBQ was zero-waste. 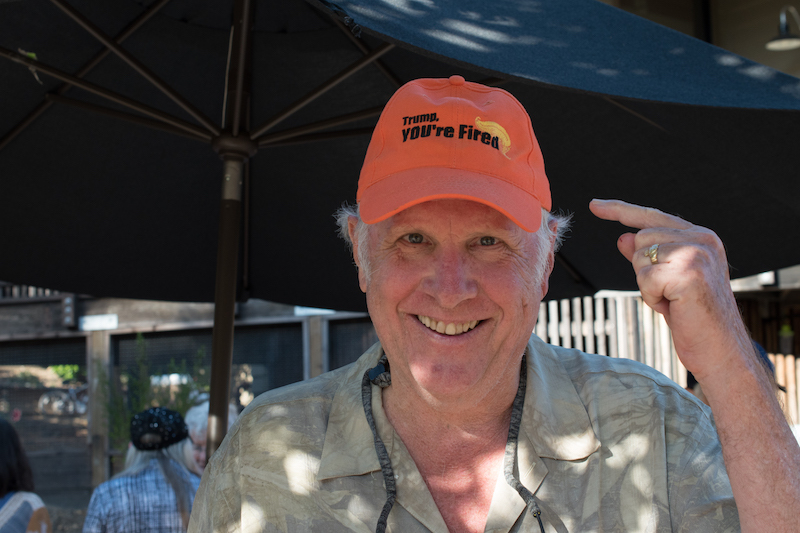 Many thanks to our grill master Steven Traiger, and to all who brought food, drinks, and good cheer. 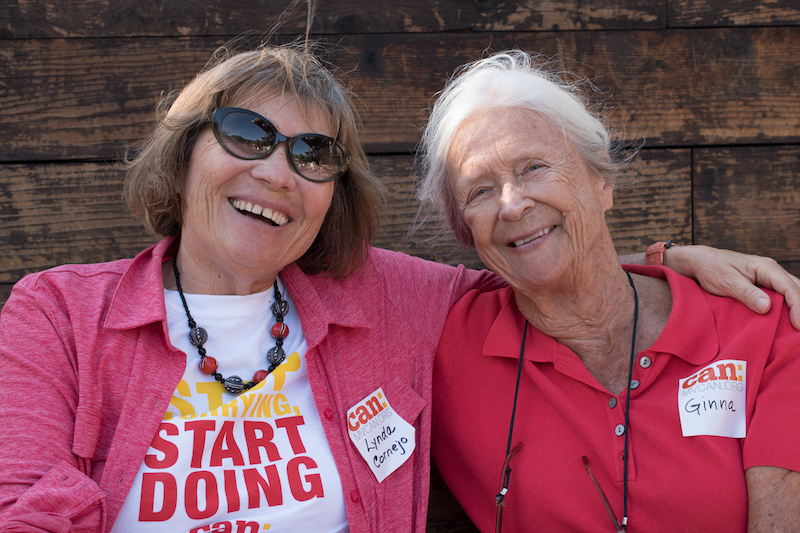 Lynda Cornejo and Ginna Fleming. 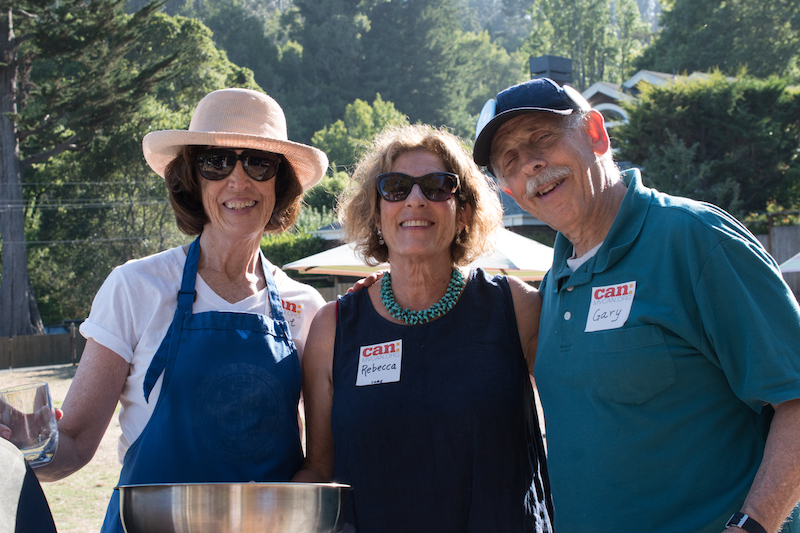 Carol Korenbrot, Rebecca Brackman and Gary Appell. 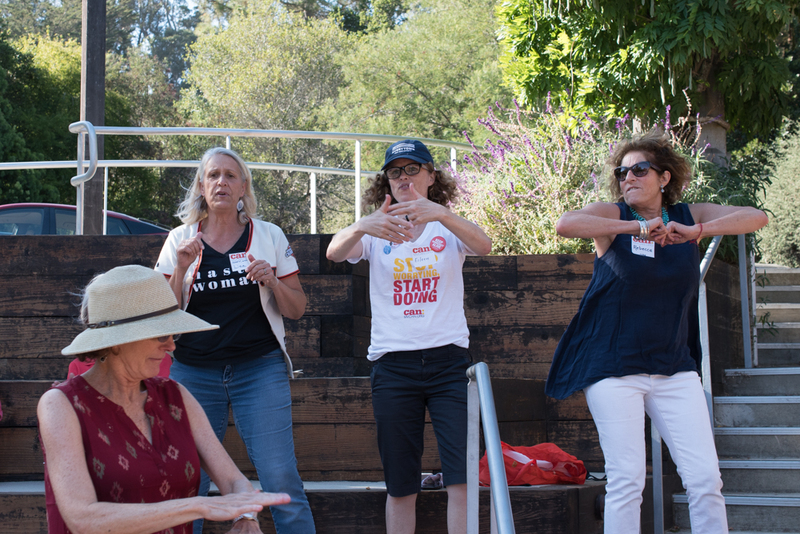 June Cooperman, Lisa Scarsella, Eileen Fisher and Rebecca Brackman leading the MVCAN dance. MVCAN BBQ Photos by Suz Lipman. 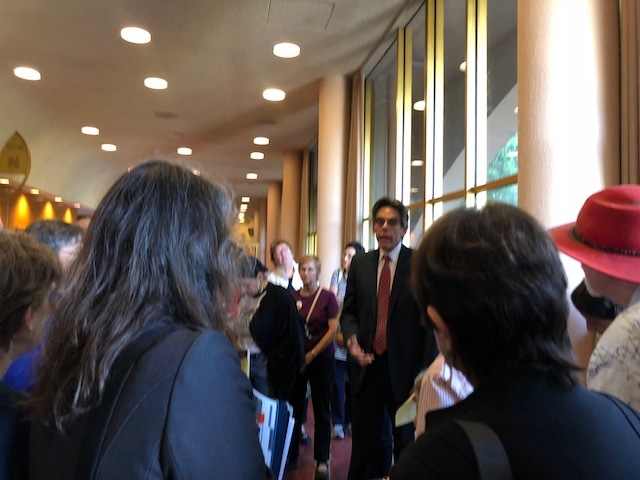 Many MVCAN members (organized by our terrific MVCAN Civil Rights/Immigration team) were at the Marin County court Friday, July 19 in support of Raul Lopez. Raúl has been in immigration detention, separated from his wife and children, for over 17 months. 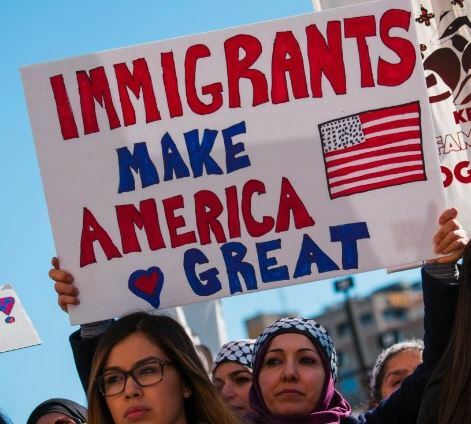 This hearing at the Marin County Courthouse was to ask a local judge to correct his prior conviction record in order to help his immigration case. 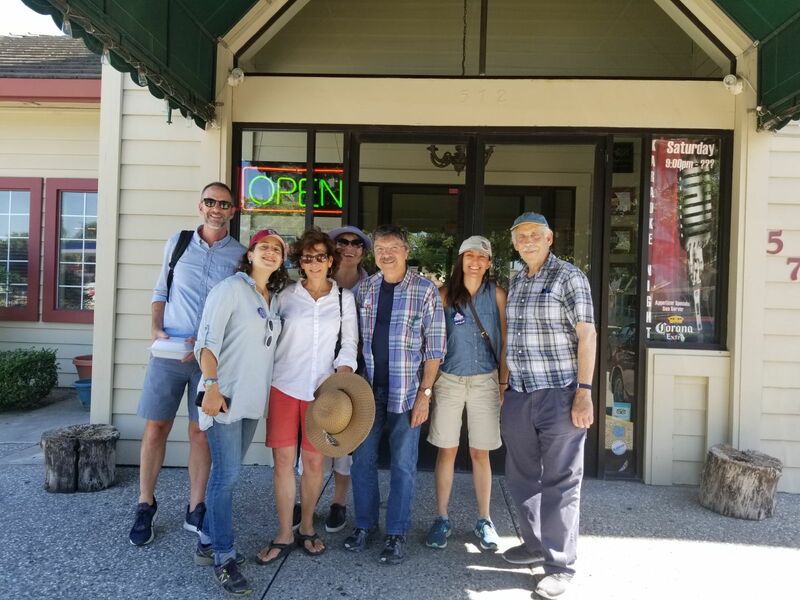 Perhaps influenced by the large turn-out of 40-50 supporters, including MVCAN members, the Marin county judge reduced Raul’s felony conviction to a misdemeanor. This change will hopefully have a positive impact on his immigration case.There were lots of tears from family and supporters. Raul remains in Colorado in a detention center while his case proceeds.